San Jorge cuenta la historia de Jorge, un púgil desocupado que consiente en trabajar como cobrador de deudas para saldar las suyas propias y tambiém evitar que su hijo y su esposa, brasileña, tengan que emigrar. Nuno Lopes ganó el premio al mejor actor en el Festival de Venecia. A acção passa-se durante a recente crise económica em Portugal e foca-se sobre os anos de intervenção da "troika" no país. A vertente social da história só surgiu ao longo do desenvolvimento do projecto, que inicialmente pretendia apenas ser um filme de boxe que voltasse a juntar o realizador Marco Martins com o actor Nuno Lopes. 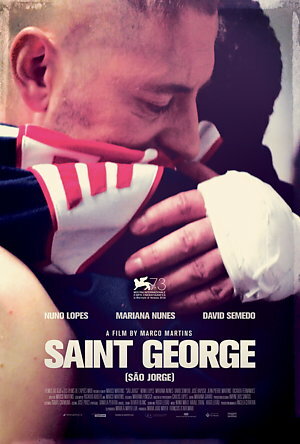 Jorge is an unemployed boxer trying desperately to find a way to support his wife, Susana (Mariana Nunes), and son, Nelson (David Semedo). When Susana, a Brazilian immigrant, decides to escape the financial crisis that had settled in Portugal and to return to her country, Jorge is at his wit’s end. As a last resort he agrees to work as a debt collector. Using his boxer body, he intimidates people who, like him, find themselves in a desperate situation. Pressured by poverty and the lack of alternatives, Jorge finds himself crossing the border of morality and entering a world of crime. The action takes place during the recent economic crisis in Portugal and focuses on the years of troika intervention in the country. 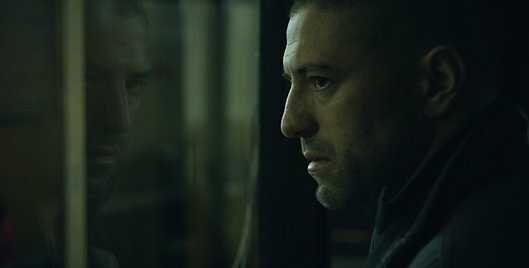 The social aspect of the film emerged during the development of the project, which initially intended only to be a boxing film that reunited the director Marco Martins with the actor Nuno Lopes. Throughout the research for São Jorge, in which they spoke with boxers and visited social neighborhoods, they began to understand that there was a social side related to the crisis that needed to be told. The role that led to Nuno Lopes’ award in Venice forced him to gain about 20 kilos and to train for six months in order to be able to better embody the character.